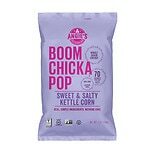 Shop Angie's Boomchicka Kettle Corn Sweet & Salty (7 oz. )7 oz. 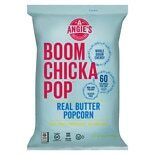 2 for 5 dollars and 00 cents or 1 for 2 dollars and 99 cents 2/$6.00 or 1/$3.49 $0.43 / oz. 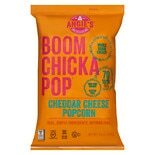 Shop Angie's Boomchickapop Cheddar Cheese Popcorn (4.5 oz. )4.5 oz. 2 for 5 dollars and 00 cents or 1 for 2 dollars and 99 cents 2/$6.00 or 1/$3.49 $0.66 / oz. 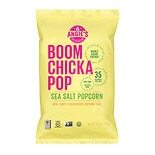 Shop Angie's Boomchicka Popcorn Sea Salt (4.8 oz. )4.8 oz. 2 for 5 dollars and 00 cents or 1 for 2 dollars and 99 cents 2/$6.00 or 1/$3.49 $0.62 / oz.